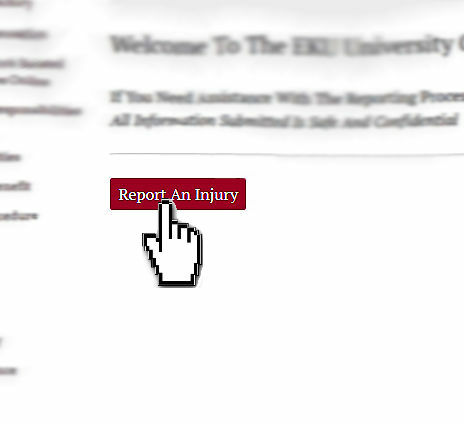 Employees of Eastern Kentucky University are now able to report a work related injury or illness to the University Claims Office with the new Online Injury/Illness Reporting Tool. Reporting an injury is now easier than ever. The Online Injury/Illness Reporting Tool is user friendly and allows for the safe and confidential submission of a work related injury or illness. Simply click the link below to begin reporting an injury. Safety Is Our Top Priority. Stay Safe!